In 28 countries, at least some cyclists are required to wear helmets. That's the finding of what may be the first comprehensive look at helmet laws worldwide. It appeared in the Journal of the Australasian College of Road Safety. In nine countries, all cyclists are supposed to wear helmets, as are those in half the 10 Canadian provinces, cities in Chile and Slovakia, and those outside cities in Israel and Spain. Some cities in the United States require helmets of all riders. 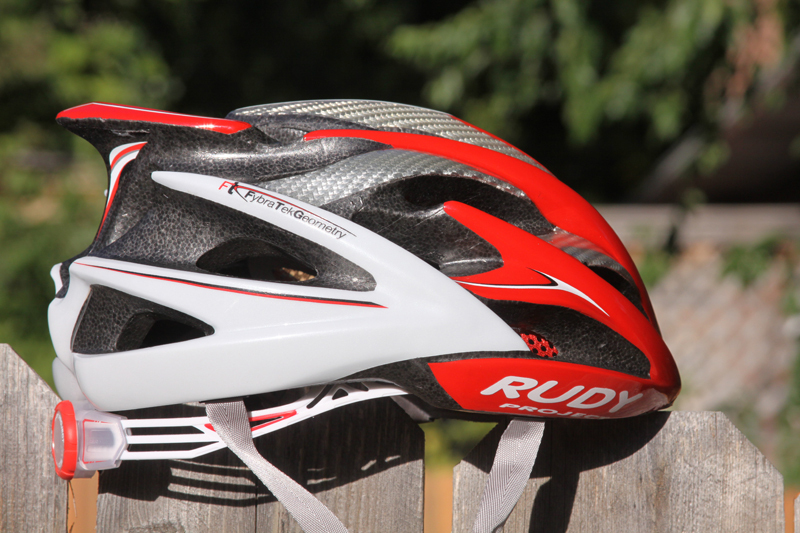 Rudy Project's Windmax Helmet is light, well-fitting, and stylish. All told, 273 laws have been enacted worldwide and only two repealed, says A Systematic Review of Bicycle Helmet Laws Enacted Worldwide (https://tinyurl.com/ydxb9v9z) from the Transport & Road Safety Research Centre in Sydney. Other jurisdictions have modified their original laws. They vary in terms of ages of riders and fines for non-compliance. California enacted the first requirement in 1987, though it applied only to children under five. In 1994, the state expanded it to those under 18. Other states and cities apply it to those under 18 or 16. Snohomish WA's law applies only in skate parks. Only Mexico City and Bosnia & Herzegovina repealed their laws. The study says no one evidently has examined whether repeal of the laws led to more cycling or more casualties.